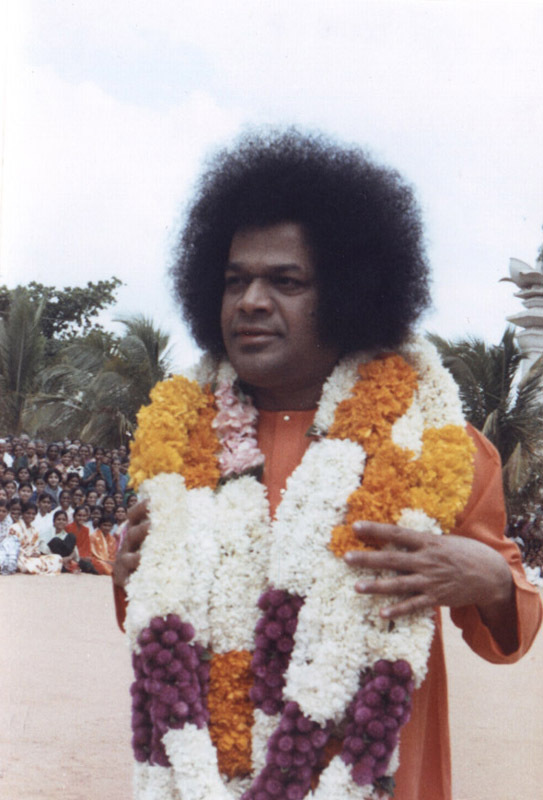 One of the many unique contributions of Bhagawan Baba to humanity is His profound interpretations of the inner significance of the various festivals and the associated rituals as practised by mankind. In this posting, we have Bhagawan Baba revealing to us the inner significance of the festival of Shivaratri. Maha Shivratri is a Hindu festival celebrated every year in reverence of Lord Shiva. Shivaratri means the great night of Shiva. It is celebrated every year on the 13th night/14th day of the Maagha or Phalguna month of the Hindu calendar. The festival is principally celebrated by offerings of Bilva leaves to Lord Shiva, all day fasting and an all night long vigil. There are nine Discourse excerpts presented in this posting. These have been selected from the Discourses given by Bhagawan Baba over a number of years – 1977, 1987, 1991, 1997, 2000 and 2004. 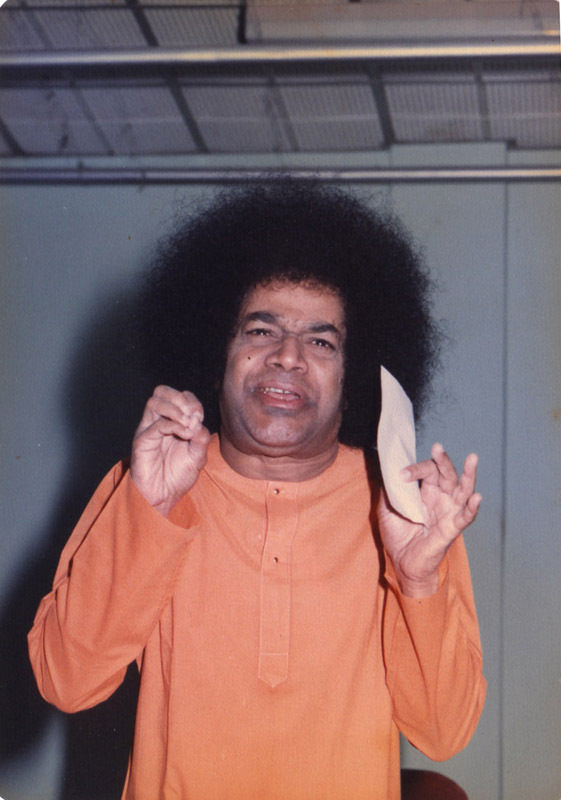 In the 1st audio clip, Bhagawan explains what is so special about the night of Shivaratri. He then goes on to explain in the 3rd audio clip, the meaning of the word Shivaratri as per the science of numerology. He elaborates in the 4th clip, the association between the mind and the moon and how 15 aspects of the total 16 aspects of the moon and the mind remain subdued on the night of Shivaratri, with just one aspect left to be conquered by man. In the 5th clip, He talks of the misunderstanding that prevails among people about the significance of Shivaratri and the night long vigil. The 6th and 7th clip is about the true prayer that one should make during the night long vigil and the definition of true devotion and true devotees. The 8th clip cautions us not to wait once a year for Shivaratri, for every night must be considered as the night of Shiva and spent as such. Finally, in the 9th clip we hear the melodious voice of our Lord chanting the Panchaakshari Mantraa – Om Namah Shivaya. We call this night as Shivaratri. In fact we spend so many nights. But why do we specially call this night as Shivaratri? Shivaratri means the night of auspiciousness. 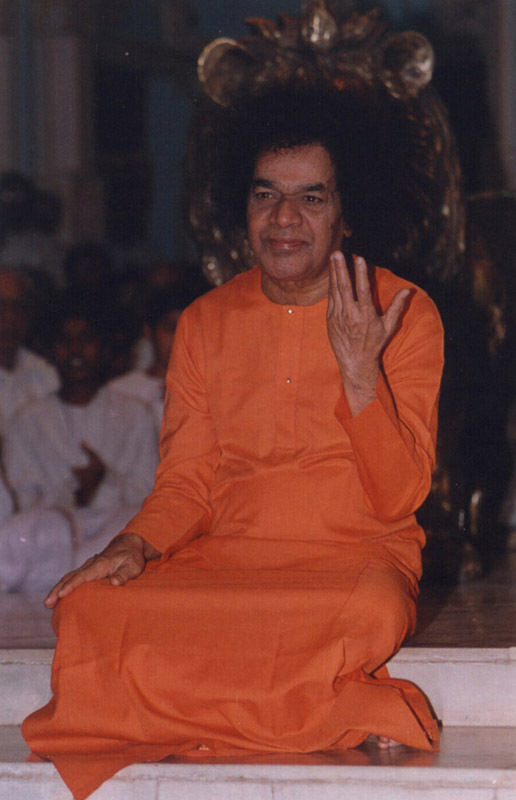 Therefore, this auspicious night has to be spent chanting the auspicious name of the Lord. Shivaratri does not mean just keeping awake the whole night. Many people wish to keep a night long vigil, and so what do they do? Telugu poem – Merely by playing cards the whole night you cannot claim to have done Jaagaranaa (night long vigil). Keeping awake by watching 3 to 4 cinemas (movies) cannot amount to Jaagaranaa. Shivaratri means, the night has to be spent chanting the name of the Lord only. This chanting has to come from within. That is why it is called “reflection of the inner being”. The holy name that comes from within is called the principle of Shiva. Whatever we do, we must do it whole heartedly, with love. It must be Prema source (love from the source) and not Prema force (love through force). These days we do everything out of force. This is not correct. 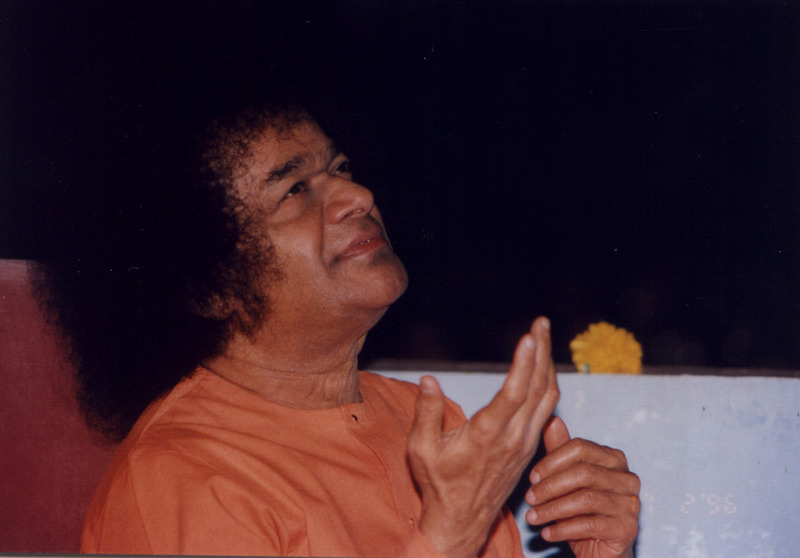 You must do things (chanting the name of God) wholeheartedly, even if it may be for just half a minute. One teaspoon of sugar is enough, one teaspoon of cow’s milk is adequate, why barrels of donkey’s milk? Shivaratri means the night of auspiciousness. Night basically symbolizes darkness. Chandramaa Manaso Jaataha Chaksho Suryoajaayataa. There is a close relationship between the mind and the moon. Today is Chaturdashi – the 14th day of the waning phase of the moon. The moon has 16 aspects and the mind of man also has 16 aspects. Tonight 15 aspects of the moon and therefore the mind have been overcome and just one aspect alone is left. Therefore, we are very close to our true goal. Hence, humanity being so close to God today, whosoever chants the name of the Lord today, with a pure heart, will be benefited greatly. It is very necessary to spend the time today thinking only about God and not allowing our mind to be diverted towards anything else. Not even a fraction of a second must be wasted during this most valuable period. Time reduces every second just like a block of ice! Our life span reduces continuously just like water diminishes in a pot with a hole. Thus we must not make every effort not to postpone the worship by thinking that we can do all this sometime later. Such great good fortune that we have got now must be experienced with all happiness and must be made purposeful. Unfortunately, this most auspicious festival of Shivatri, on account of not being able to understand its true significance, is being misused by people of the world. If by playing cards, one keeps awake the whole night, can it amount to Jaagaranaa? If one concentrates on the water in the tank so as to catch some fish, will such concentration lead one to liberation? If one gets heavily drunk, can it take him to a state of super-consciousness? If one gets angry with his wife and does not partake food, can it be called fasting (upavaasaa)? However, the youth of today watch 3 cinemas, 4 cinemas, thinking that it is just enough if one keeps awake the whole night, in whatever way; and thus misuse the opportunity. All these are not sacred means at all. If the same money that one would spend on the 3-4 cinemas, if one would use that for feeding 3 to 4 beggars starving on account of hunger, how much merit one would get, how much peace one would get, what a noble task one would have accomplished. 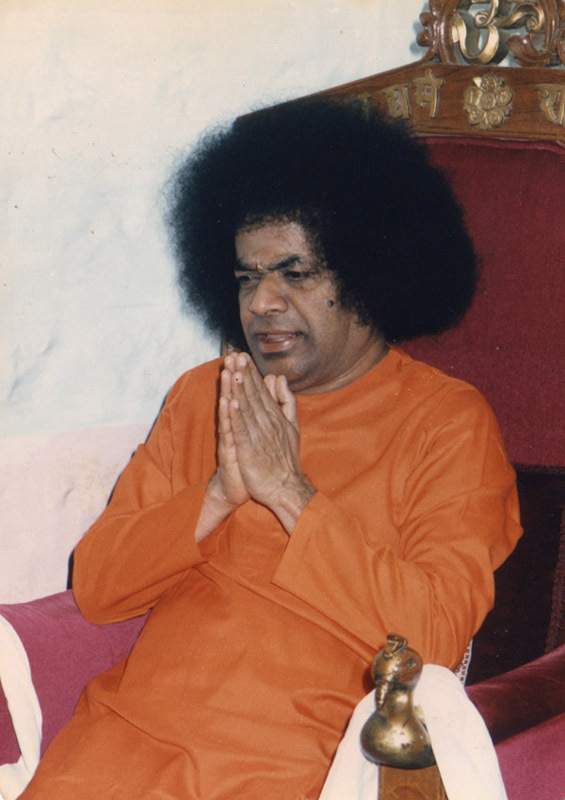 Thus we must participate in such noble endeavours and to the extent possible, spiritual aspirants must engage in service to the nation, service to humanity, service to society, service to the individual and consider all this as service to the Lord. This is Bhagawan’s wish. Embodiments of Love! Today is the great and sacred festival of Shivaratri. This is a special kind of night among all the nights. Nights are always associated with darkness, but this particular night is not associated with darkness. You must consider this night as a night of sacred auspiciousness – one of Prajnaana, Vignaana and Sugnaana, one of brightness. 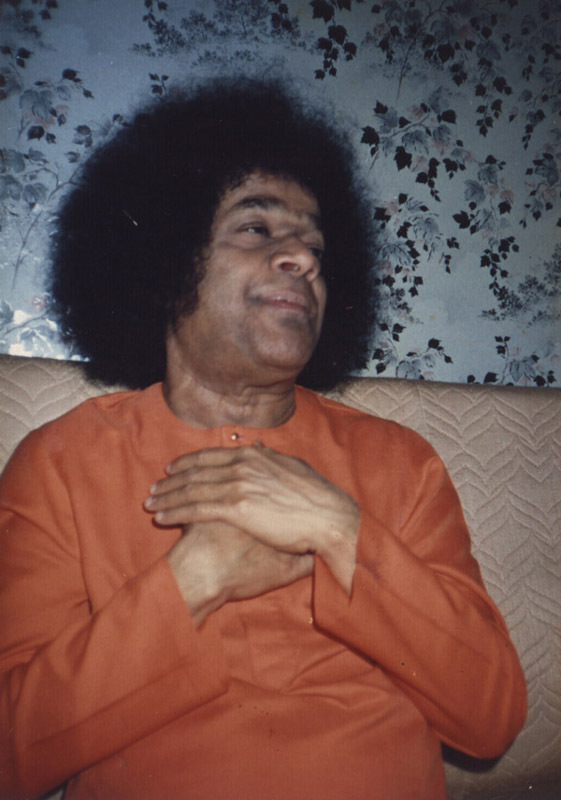 Therefore we must spend this night with a pure mind, with sacred feelings, with a prayer that the whole world must be happy – Lokaa Samastaa Sukhino Bhavantu, all beings must have a sacred heart, all must have a sacred intellect – Dhiyoyonah Prachodayaat. Gandhi also said, “Sabako Sanmati De Bhagawaan”. Gandhi was a great devotee of Rama who prayed for a noble mind to be bestowed on all. Therefore you must always pray for all beings to have a good mind. This sacred night if you pray with a sacred heart, on account of you – the Bharathodaarakaas, I wish that Bharath will shine eternally with continuous auspiciousness and celebrity – Nitya Kalyanam Pachha Toranam. Last night (19th February 2004, Shivaratri night), at 1.00 am I came here. I saw. All devotees and students are singing happily. But who among the devotees were the real devotees? Those with a steady mind, chanting the name of God with detachment, are the real devotees. All are seated here. In the hall there are thousands seated, but all are not devotees. The body is seated here but the mind is not focused on God. Therefore directing mind towards God is true devotion. You may sit anywhere, but the mind must feel the proximity of the Lord. You can experience Divinity there itself. If you feel sleepy, you may go to sleep. But even in your sleep, keep the principle of Divinity in your mind. Therefore, true wisdom, true awareness lies in the experience of oneness in the three states of existence – waking, dream and deep sleep. At any point of time, keep the principle of Divinity in mind. It is only because of love for God, that you have stayed awake and come and sat here at that hour (midnight). If you did not have love, you would have as well slept in your home. But sacrificing that sleep, coming over here, sitting below a tree, resting the back against the tree, they consider this as a Divine experience. This is true devotion. You do not need any convenience, any happiness, any food. 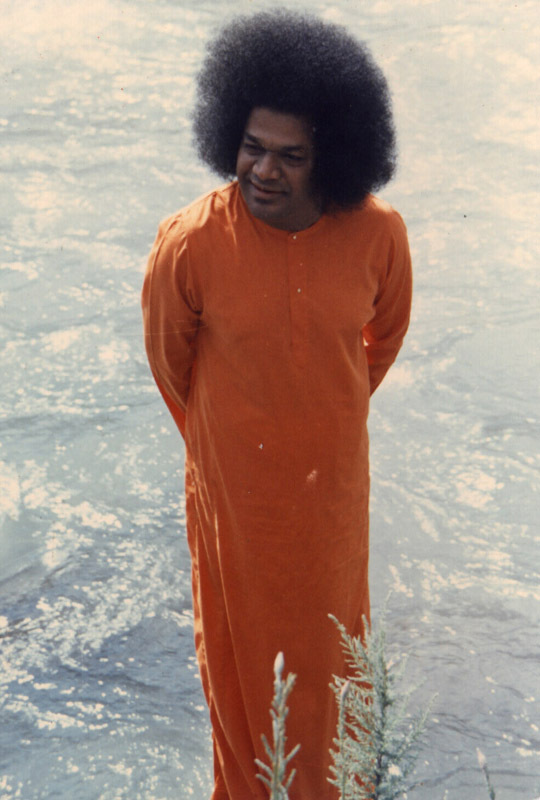 At such time only, you can experience the principle of Swami, the oneness. You may go anywhere, but have total control over your mind. Do not consider that Shivaratri comes only once in a year. We must consider every night as the night of Shivaratri. Where we think about God, where noble thoughts come to our mind, there manifests Shivaratri. Shivam Mangalam. Shivam is auspiciousness, meaning giving up one’s ego is Shivam. The people who know Telugu can understand this very well. In the Telugu script, when the mark (horn) on the letter ‘Sha’ is removed, it reads as ‘Shi’. Then it becomes Shivam (auspicious). But if we do not remove that horn, it remains as Shavam (dead body). What is the difference between Shivam and Shavam. With the horn of ego, it is Shavam (dead body), without the horn of ego it is Shivam (auspicious). So everyone must kill this ego. 1. What is the literal meaning of Shivaratri? 2. 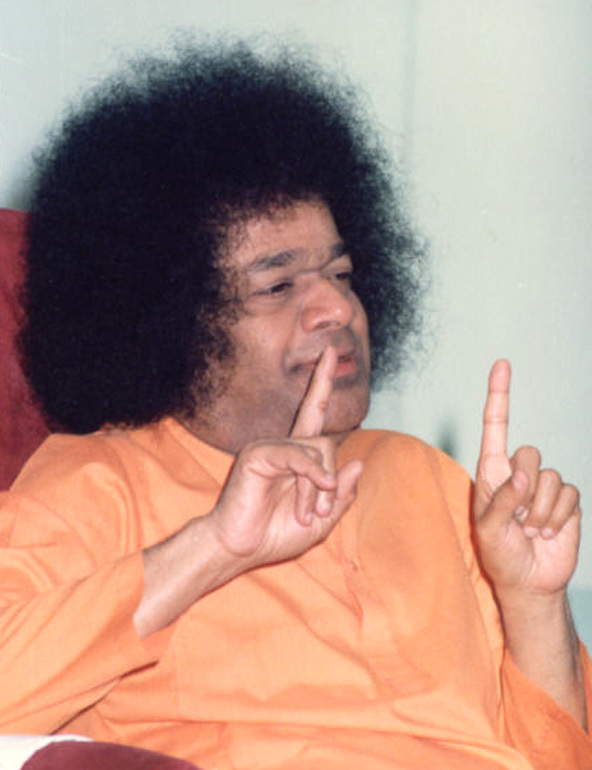 What is the analogy that Bhagawan gives for stressing on the importance of quality of chanting the Lord’s name rather than quantity? 3. What is the inner significance of the word Shivaratri as understood with the help of numerology? 4. On which day of the lunar calendar does Shivaratri fall? 5. What is the relationship between the mind and the moon and what has this got to do with the festival of Shivaratri? 6. 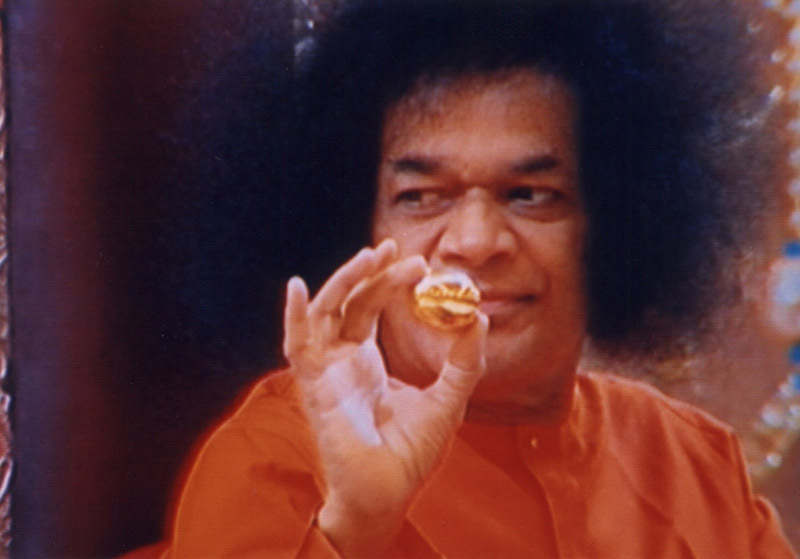 What are the 16 aspects of the human mind according to Bhagawan Baba? 7. What are the five examples presented by Bhagawan as illustrations of misunderstanding the spirit of spiritual practices and confusing mundane activities with spiritual pursuits? 8. What must be our prayer when we chant the name of the Lord on the night of Shivaratri? 9. What is true devotion? Who are the true devotees? 10. What is true wisdom / awareness? 11. What is the difference between Shivam and Shavam? What are the 16 aspects the human mind? I could not find the answer in the above script. Your website is very useful for our Study Circles purpose. I have taken up Vagaries of the Mind as our next topic. Most welcome. Please feel free to offer your suggestions to make it more useful.